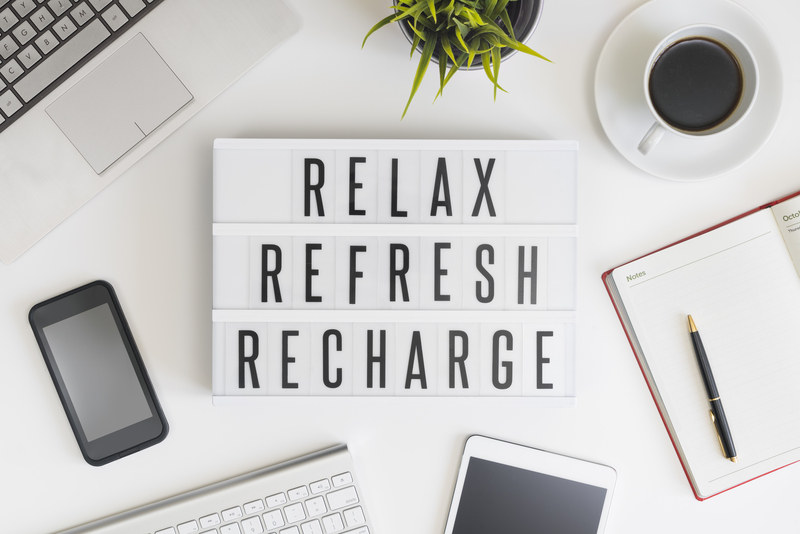 It might seem counterproductive, but one of the best ways to be your most efficient self at work is to optimize your breaks, and take a few of them. It helps your brain to spread its energy throughout your workday rather than going full-force and becoming drained sooner. Your coworker who always works through breaks and stays late might not be getting as much work done as it seems. If you end every workday with eyestrain or a nasty headache, pay close attention to this one. You might’ve heard this before, but for those who haven’t—Every 20 minutes, look at an object 20 feet away for 20 seconds. When your eyes are focused on your computer screen for extended periods of time, they are working much harder than you realize. Looking away, even just for a few seconds, gives your eyes a much-needed break. When you have a headache or intense eyestrain, you aren’t able to focus the same way. You are constantly distracted until your work is finished or until the pain goes away. And we all know which of those usually comes first. Physically getting away from your desk promotes blood circulation and a mental break, effectively getting your juices flowing for when you sit back down. There’s no need to do anything crazy like go for a walk every hour—just get up out of your chair every 45 minutes or so or whenever you’re finished with a lengthy task. Go to the bathroom, refill your water, go update your boss on that project—anything just to step away. And try not to look at your phone either. When you get up, make it a break free from screens if you can help it. You’ll feel more rejuvenated after a screenless break compared to a break where you check Twitter for 10 minutes. This one is much easier said than done. Most people can’t exactly clear their mind on command, and much less during a busy workday. But it is possible to take tiny moments out of your day and make the most of them, mentally speaking. When you finish up a task, your brain automatically goes into “What’s next? !” mode, preparing for the following project ahead. Instead, just stop, take your hands off your keyboard, and think about nothing. Thinking about nothing isn’t really easy, either, so think about your breathing, or your clothes, or the temperature in the room. Just for 10 seconds—seriously. After making this into a habit, you’ll notice that you’ll go into each task much more refreshed, ultimately making you a more productive worker. Try to be mindful during your scheduled breaks, too. When you’re on your lunch, don’t work (obviously) and don’t even think about work. Think about what you’re eating. If you’re running errands or paying bills, think about what you’re doing in that exact moment. Sometimes, there’s nothing quite like that adrenaline rush you get when you’re in the zone. It’s tough to imagine interrupting that flow—but you don’t have to. If you’re one of those people who have a hard time separating from work, try working for around 90 minutes with your focus-face on, and then take a break. Work 90 minutes, then eat. Work 90 more minutes, then take a quick walk. So on and so forth. This will help you recharge physically, mentally, and emotionally. You’ll work with a much more intense focus, and you’ll get more work done in far less time. That’s productivity. So, to sum up—the most productive people are those who take breaks, and who make the most of their breaks. Try to incorporate a couple of the above methods into your routine. You will notice a difference, and maybe your bosses will too.